The SCOR Group is a global leader in the reinsurance industry. Since its beginnings in 1970 the SCOR Group has grown significantly in size and influence, receiving professional distinctions and numerous awards, including the prestigious “Best Global Reinsurance Company” award in 2010. SCOR’s first US office opened in Dallas in 1974. In 1988, SCOR moved its US headquarters to New York City where it remains today. Reinsurance is the practice of taking on all or part of another insurer’s liability risk, or put in different terms, reinsurance is insurance for insurance companies. When an insurance company chooses to pass along or “cede” risks to a reinsurer, the reinsurer accepts the risks and must compensate or indemnify the ceding company in case of a claim. The main benefits of reinsurance are threefold. First, it provides the ceding company enhanced security and solvency. Second, it increases the insurer’s capacity to write more business, thereby taking on more risk. Last, reinsurance adds liquidity, increasing the cash available to cover losses from claims. Reinsurance companies also provide advice and counsel to their client companies. The SCOR website is very complex, striving to satisfy the needs of clients, investors and the worldwide media. Information may be examined in either English or French. The home page features quick links to company stock and financial reports, analyses and ratings information and schedules for company presentations and webcasts, which are numerous. In 2011, A.M. Best affirmed SCOR’s excellent, A, rating for financial strength with a stable future outlook. 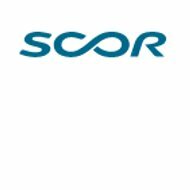 Moody’s, Fitch, and Standard & Poor’s all give SCOR a positive outlook with A ratings. *Preferred life policies are based on special criteria, which take into account additional risk factors that may influence mortality (death) rates. Examples of these factors might be smoking, drug addiction, or alcoholism, all known to affect a person’s health and well-being. Life insurance premiums would be adjusted higher considering these factors. With higher risks come higher claim rates and more potential losses for the original policy provider and subsequent reinsurer. SCOR’s Business Solutions division provides services for insuring the exploration and utilization of natural resources whether on land or sea. This division also provides risk coverage for commercial and industrial clients. SCOR specialists serve as consultants and prevention advice. SCOR also arranges audits for claims to help ceding companies manage their portfolios more effectively. As in the rest of the SCOR website, the career pages, http://www.scor.com/en/careers/our-occupations.html provide comprehensive information about career opportunities within the SCOR group of companies. For each professional listing, the website features comments by a current SCOR employee who works in that area. The employee briefly describes the position and his or her role in the company. The SCOR media pages provide current news and information, briefs from the company leadership and list upcoming company presentations and webcasts of interest to the global insurance community. In September 9, 2011, SCOR foiled fraud artists who attempted to hack into the company’s computer system, intent on stealing privileged client information. This blatant attempt at international identity theft was detected by SCOR’s internal security systems. Unlike other major financial companies who have been embarrassed recently by information thieves, SCOR’s protection systems did their job and no records were compromised. How can you justify raising my home insurance premiums so very much? My end of the year premium jumped $75, making my monthly premium increase $30!! Now, this may not seem like a lot of money to you, but I’m on a fixed disability income, making $15,000 a year (somewhere around poverty level). I am not cancelling you at this time, as I’m not going through an insurance change until the repairs are finished on my house. But come springtime, I have to start shopping for other insurance; it’s a matter of financial survival. You disappoint me severely. LOOKING FOR HEALTH INSURANCE… DO NOT BUY HIGHMARK OR KEYSTONE!!! Representatives and customer service provide inconsistent information to consumers. Highmark does not take responsibility for these errors and consumer ends up responsible to pay for services believed to be covered. In addition, Resolution department is not helpful and are insensitive, blames consumer for being misinformed and does not take responsibility for information agents provide. If you do not want unexpected medical charges and/or a huge medical bill, do not enroll in Highmark or Keystone Health insurance plans. BAD SERVICE—NO BASIC COVERAGE PROTECTION. Medicare Advantage plans do not cover Medicare covered services. Consumer must pay for these services that are normally covered by basic Medicare coverage. Suggest enrolling in Health America Advantra Silver plan for Medicare Advantage consumers.